graduating from Three Oaks Senior High School, he moved to the big city of Charlottetown to complete his Bachelor of Science Degree with a major in Biology at the University of Prince Edward Island. During his days at UPEI he began to become very interested in the eye and the human visual system. At this point he realized there would be no better career than one that allowed him to help people on a daily basis with their most precious sense, their eyesight. 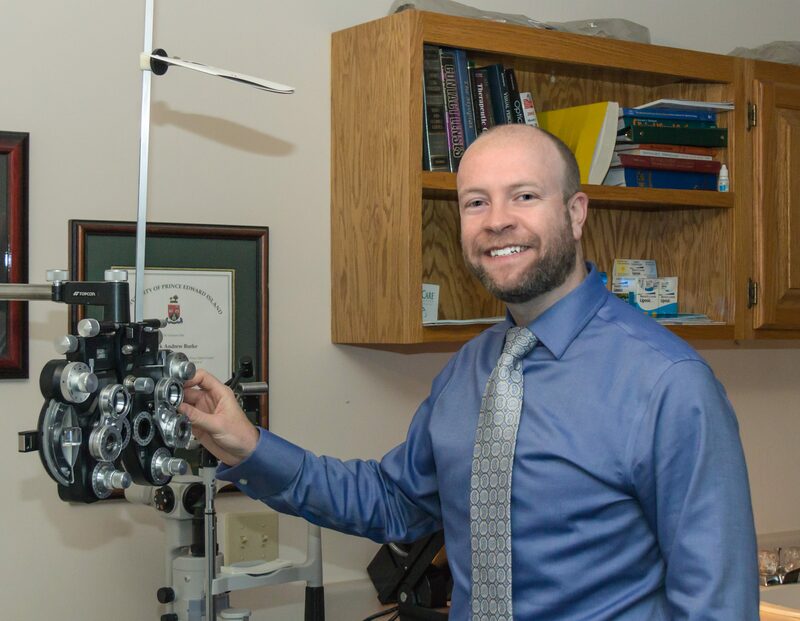 That desire led him down the road of Optometry where he completed a Doctor of Optometry degree with Dean’s Honours List distinction at the University of Waterloo in 2006.